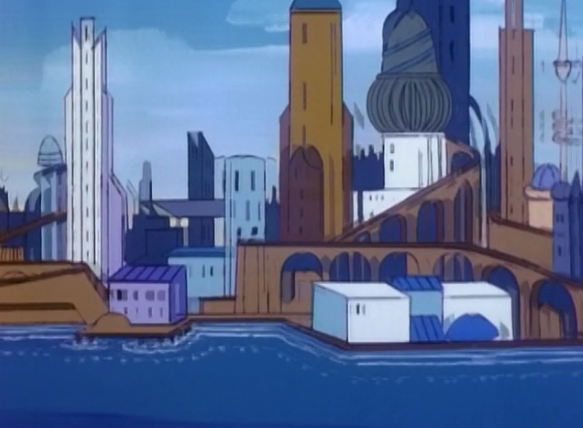 The lost island of Atlantis remains a favorite destination spot of cult television programming. The highly-advanced Greek metropolis and the land it stood upon sunk into the Atlantic Ocean according to legends, in prehistory. Although the hunt for Atlantis is often considered pseudo-science, many who are fascinated by the tale have speculated it was actually near the Mediterranean Sea, and islands such as Cyprus. Others believe that Plato’s citation of Atlantis suggests that he was actually writing about Crete. Regardless, Atlantis has proved irresistible to sci-fi TV writers. Doctor Who (1963 – 1989) twice visited the locale. 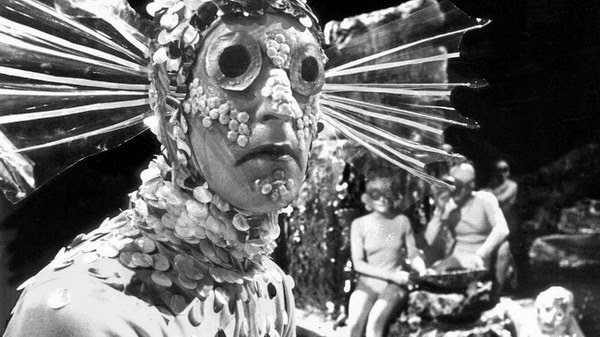 In “The Underwater Menace,” the Second Doctor (Patrick Troughton) had to prevent Professor Zaroff from raising the sunken city, an act which could have catastrophic consequences for the Earth. 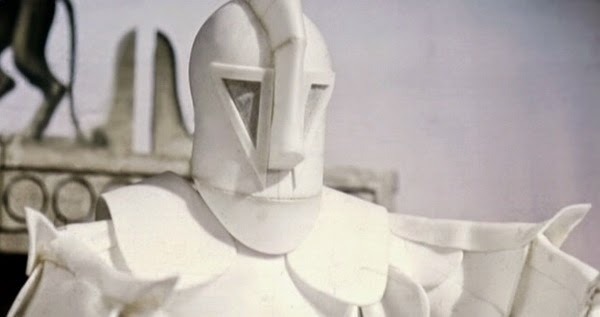 In the era of the Third Doctor (Jon Pertwee) and the serial “The Time Monster,” the Master (Roger Delgado) traveled to ancient Atlantis and unleashed a monster called a Chronovore upon the populace. In The Man from Atlantis (1976 – 1977), Mark Harris (Patrick Duffy) washed ashore in California, and a Navy computer designated the man -- who had webbed fingers and toes, and could breathe underwater -- as the last survivor of Atlantis. 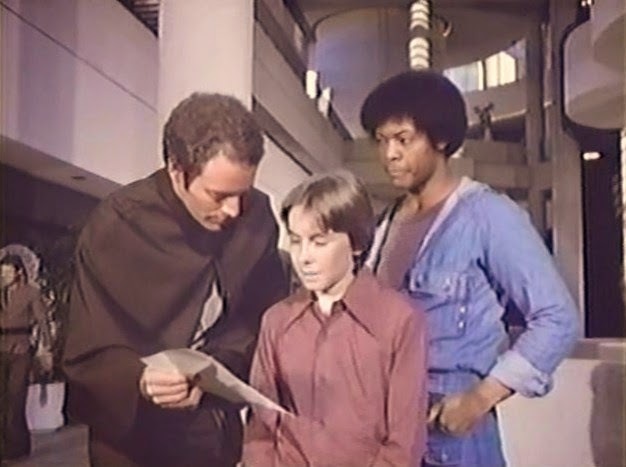 In The Fantastic Journey (1977) some descendants of the people of Atlantis lived on an island in the Bermuda Triangle, in a city called Atlantium. This episode, also called “Atlantium” introduced Katie Saylor’s character, an alien/Atlantean named Liana to the series cast. The short-lived series from Irwin Allen, Return of Captain Nemo (1978), had the commander of the Nautilus (Jose Ferrer), awaken after a hundred years from suspended animation and resume his search for Atlantis. More recently, both Stargate: Atlantis (2004 – 2009) and Atlantis (2013 - ) have centered around explorations of the city. On the former, Daniel Jackson discovers Atlantis, a city of the Ancients abandoned 10,000 years ago. 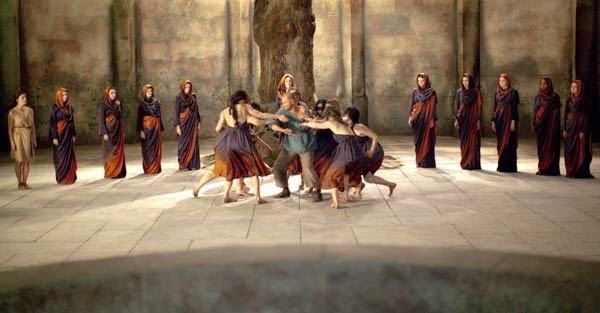 And on the latter, a modern man ends up in the kingdom of Minos and Pasiphae, confronting Greek myths and monsters such as Medusa.